TAD Lanka, which was set up by visionary entrepreneurs to create investment opportunities for Japanese Investors, has partnered Round Table Sri Lanka as the official ‘Event Partner’ for the upcoming ‘World Meeting’. The event which is scheduled to take place from the 5th – 9th of September 2018 is expecting more than 500 delegates from over 45 countries. The annual conference of Round Table International is a prestigious event where delegates from across the world meet to discuss, plan and exchange ideas. 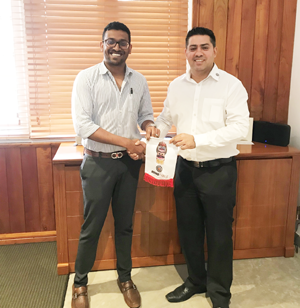 Set up by Toshiaki, Atheek and Dhanuka, today TAD Lanka operates as the local partner of a number of ventures incorporated with Japanese FDIs handling the management, administration and operations of several sub-brands of one holding company. In addition to Japan, TAD has also expanded to the Maldives, Myanmar, Kenya and Uganda to attract FDIs from those countries. Round Table is a non-political, non-religious and non-sectarian organisation that cultivates the highest ideals in business, professional and civic traditions and aims to develop fellowship among young men through community service and business activities. The organisation which began 91 years ago in Norwich, England, has spread across the world and now has over 35,000 members. It was inaugurated in Sri Lanka in 1983.